Felix Rosenqvist looked on course for another set of Formula E points in a thrilling Mexico City ePrix, but was ultimately forced to retire with just two laps to go amid a frantic conclusion to the race. Rosenqvist started from eighth on the grid in his Mahindra Racing M3Electro, and ran sixth in the early stages. Comfortably able to keep up with the leaders while conserving more energy, Rosenqvist appeared to be a dark horse in the battle for podium positions before the compulsory pit stop, although he eventually opted to readjust his strategy and pit on the same lap as his rivals. The second half of the race, which was staged on parts of the Autódromo Hermanos Rodríguez Formula 1 track, proved extremely intense. A myriad of clashes, collisions and incidents brought out several safety cars, repeatedly packing up the field and setting the scene for an exhilarating sprint to the chequered flag. Unfortunately for Rosenqvist, however, the race would end two laps early, as the Swede became the unlucky victim of a clash up ahead in which Nicolas Prost (FRA) spun the second Mahindra Racing machine of Nick Heidfeld (GER) around in the twisty stadium section. Following close behind, the unsighted Rosenqvist was left with nowhere to go but into the path of his spinning team-mate, crashing out of the event. 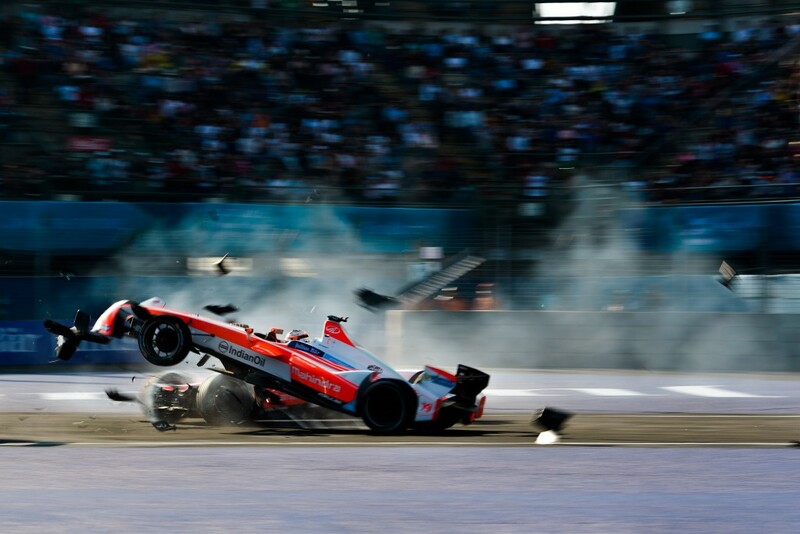 Rosenqvist was running eighth at the time of the accident. Victory in Mexico City landed in the hands of Lucas Di Grassi (BRA), who closed in significantly on championship leader Sébastien Buemi in the overall standings. Felix Rosenqvist now sits sixth, 46 points behind Buemi. Next up on the Formula E calendar is the Monaco ePrix on May 13. Rosenqvist, however, will be back in action before then as he makes his debut in Japan’s Super Formula series at Suzuka on April 22-23.